If the screen would 4 inch and there would a vga front camera it would better. 512MB ram will not be a problem..
win8.1 is optimized to that.. so there will not be any hanging problems..
heard that watsup has got some technical issues with windows OS..
it will be corrected soon..
but some CONS are little wider bezel part(bottom part), no camera button & No headset or USB cable..
Pradyumna Ingle, 26 May 2014No offense, but really? 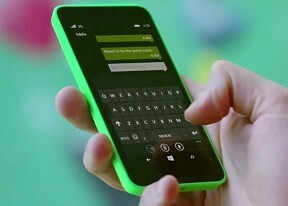 and you liked the Display PPI of Lumia 630? The Pure black thing aga... moreMoto G does not have AMOLED display. AnonD-170479, 27 May 2014Nokia XL doesn't lag like the rest of Androids they have changed it quite a lot. 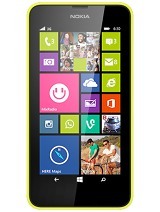 But if you... moreWas your 920 as smooth till you stopped using it as it was in the beginning wen u purchased it? 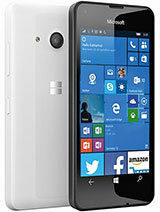 Nokia Lumia 525 is way better than Nokia 630 because of 1 gb ram, ambient light sensor and other stuff. The only advantage Nokia630 have is of clear black display and gorilla glass 3 but display of lumia 525 is equally good and perfect for one hand usage. As far as processing power is concerned A9 Krait cpu of (L525) is equally good as A7 quad core cpu of (L630). In reality you wont even feel difference. I have been calling up Nokia Care Lahore,Pakistan for the past 3 days to check it's dual sim version availability as i need to buy it ASAP but every time i get this answer... Sorry Sir,It is "SOLD OUT". Plz call Tomorrow. 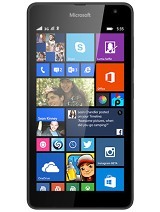 Talk about sky rocketing demand of Nokia Lumia 630.It's already a SUPER HIT PHONE. 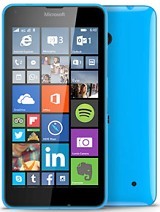 I purchased my Nokia Lumia 630 two days ago.I should say I really like this phone and its features,especially the Nokia Mix Radio - radio with no ads.The price is extremely competitive ,I paid like EUR 146 for the dual sim unlocked version. I do not see any for the moment.I have not experienced any lag so far but adding an additional 512 RAM would have been better.No front camera,but I have not used it on my 3-year old Galaxy S2. The bottom line is I really like the phone and the price is just WOW ,btw I paid EUR 550 for my Galaxy S2 3 years ago. 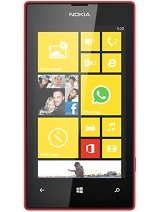 The first WP 8.1 its target is WP Developers. Steve, 27 May 2014Bought it 2 days back, good battery life, excellent touch sense & good display. Only dampn... moreIts temporary down to fix some errors on it..
abhi, 26 May 2014Guys I ws cnfused about getting the as the Nokia xl puks better than the but still I went fr t... moreNokia XL doesn't lag like the rest of Androids they have changed it quite a lot. Bought it 2 days back, good battery life, excellent touch sense & good display. Only dampner is the non functioning of whatsapp. And while surfing on Facebook it automatically push me to home screen and this pushing back to home screen problem occurs in many other apps also. In afternoon (today ie on third day) I visit Nokia care, seller and after so much arguments with both I somehow manage to get replacement of my set.